Every product purchase generates an invoice, which your customers receive with their download link. 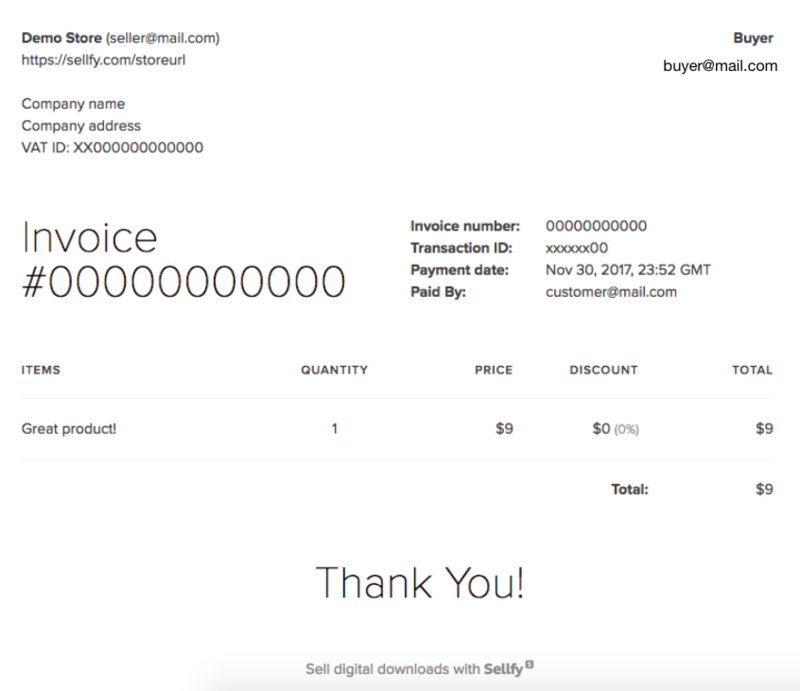 As you can see, your (seller's) information consists of your Sellfy store name, email address, and Sellfy store URL. Your personal name and address won't be reflected in any case. For accounting purposes, the buyer can add more detail about them in the dotted field. If you want to include your taxpayer details as well, go to "Tax Settings" in your account and add your details. Then the invoice will also reflect your Company name, company address, and VAT number. 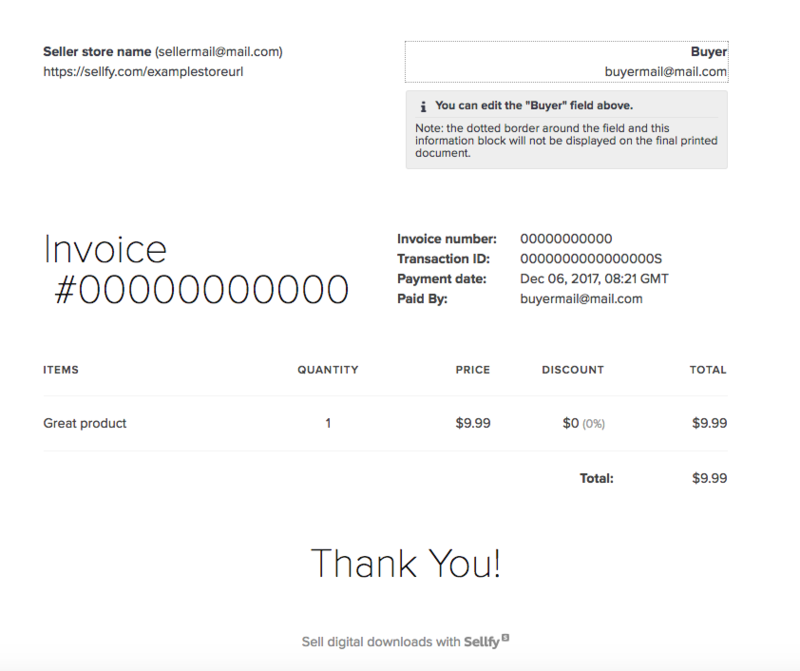 Note: Invoices are generated for paid products only. Free downloads won't contain an invoice. Where can I find the buyer's invoice?